The truth is venous disease is complex, it is more than treating the great saphenous vein or small saphenous veins. It is about treating a disease and understanding how it develops, how it reacts to treatment and how you can best manage it in your practice. 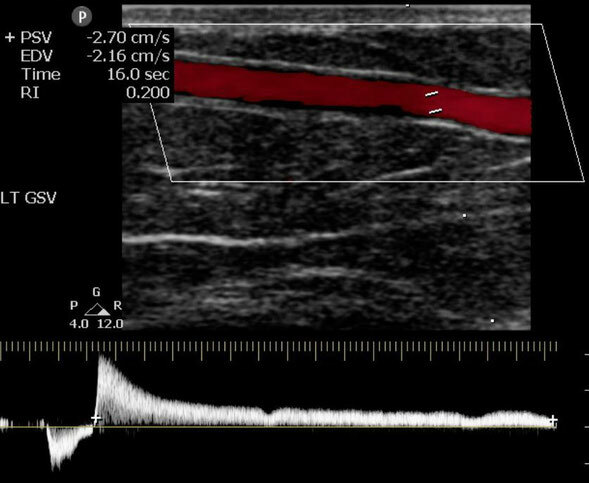 We perform venous duplex for the evaluation of venous insufficiency, physiologic testing for venous insufficiency, iliac vein imaging for the evaluation of inflow obstruction, processes for bringing in new patients, management of your vein patient, vein mapping, perforator mapping, intra-operative treatment using both laser and radiofrequency. Our training is designed for technologist, sonographers, physicians, extenders, nurses and anyone else involved in the treatment or patient care. Along with proven detailed instruction are protocols for each of these areas are included in the training. Registered Vascular Solutions, Inc. has been providing vein education and consulting for vein treatment for years. The CEO of RVS is a Technical Director of two vein centers in Georgia. We live the life and scan everyday that we are not educating. When you bring us into your facility we teach a comprehensive approach to vein testing. We use an evidence based approach that we use in our vein centers. We look forward to assisting your vein take the next step in the advanced treatment of venous disorders.....Quality treatment starts with quality testing.